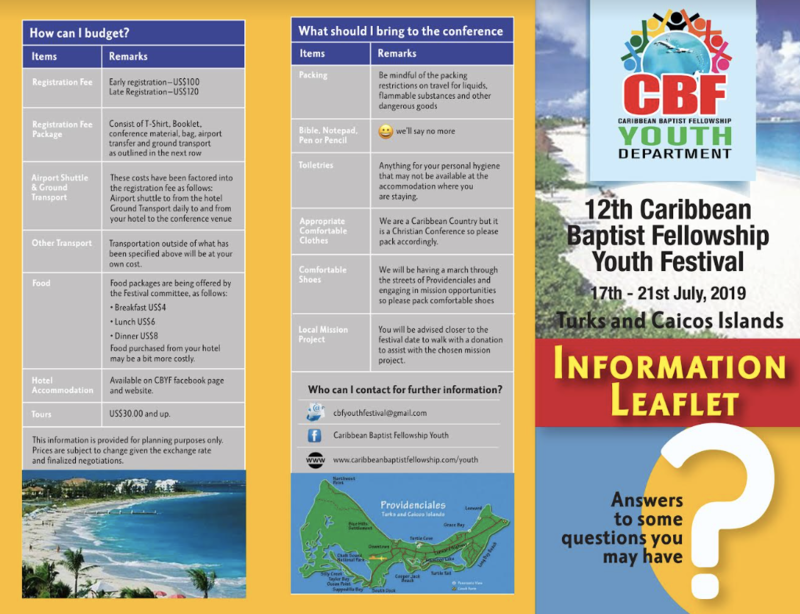 The Caribbean Baptist Fellowship Youth Department (CBFYD) is known for its dynamism. They are a vibrant collection of youth on fire for God. 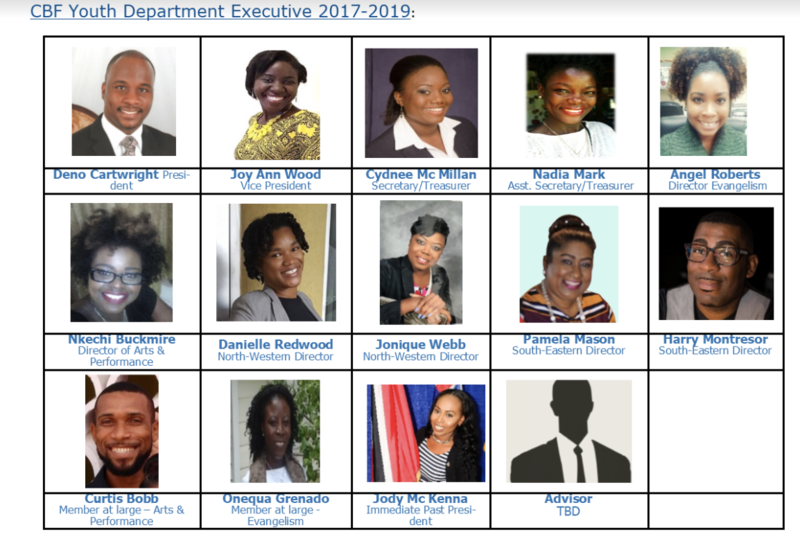 They seek to (i) present the gospel of Jesus Christ as the only tool which can hook an un-churched youth to experience the greatest love of all (ii) inform and educate youth and youth leaders on critical issues affecting Caribbean young people (iii) engage youth through Caribbean culture (iv) turn Caribbean youth on to mission. The CBFYD engages in youth rallies and conventions to promote Christ. Members of the CBFYD executive also participate in Youth weekends i.e. short visits to share with and encourage youth from a Caribbean territory. 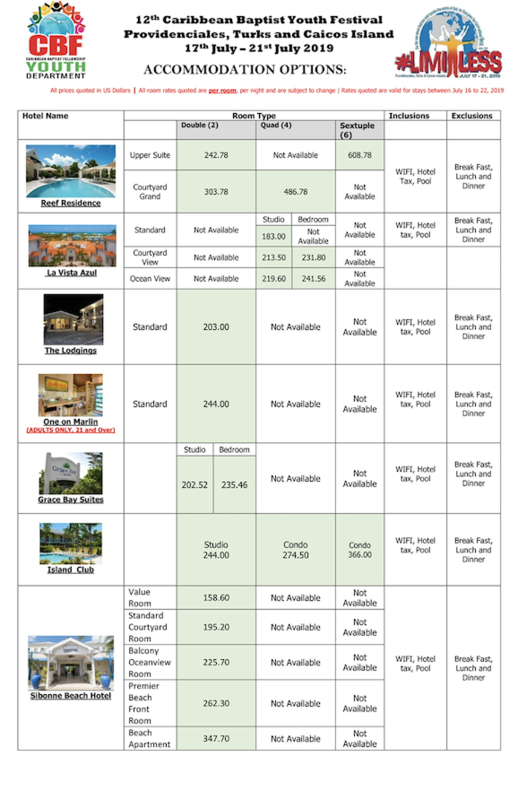 Youth Weekends have been held in Jamaica, Guyana, Trinidad, Barbados, Dominica and the Tuck and Caicos Islands. 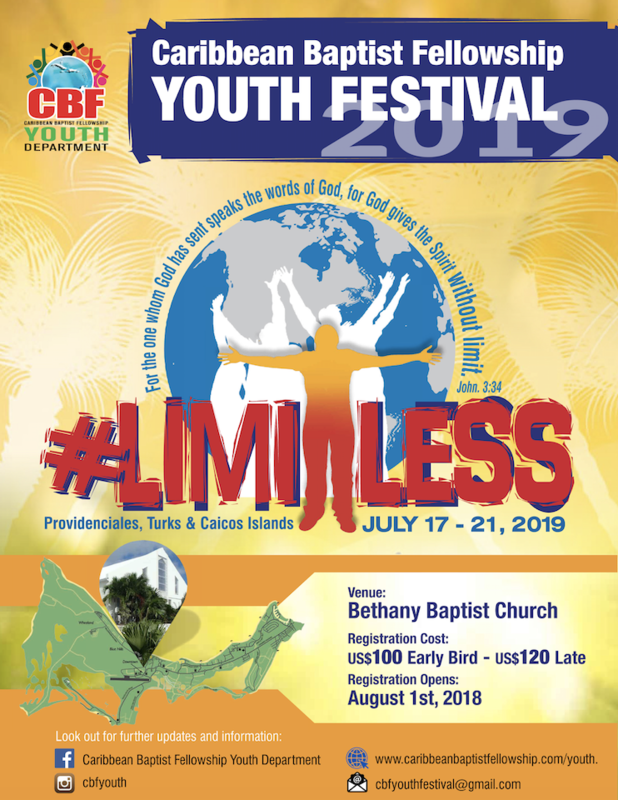 A major highlight of the youth department is the triennially held Youth festival which brings youth of the London Baptist faith to one location to celebrate their faith and to foster positive youth development throughout the region. 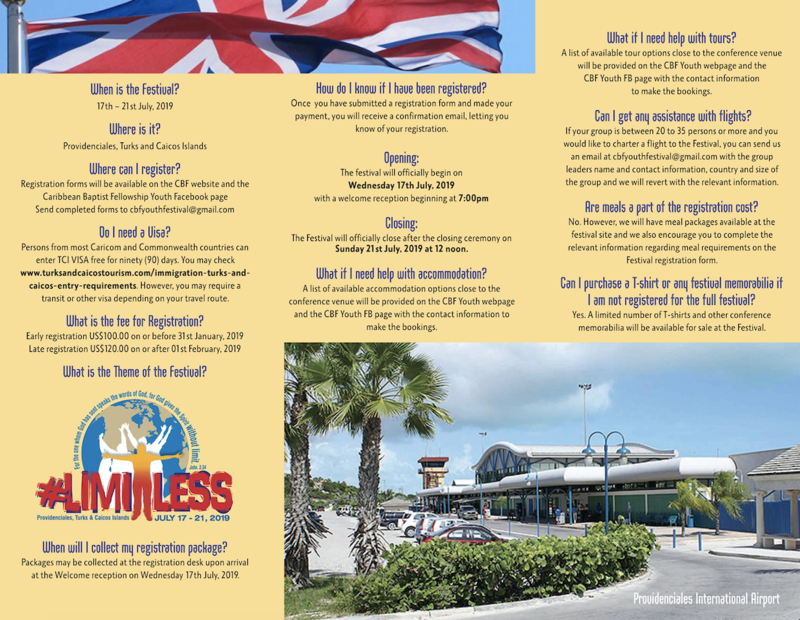 2017: Trinidad "I stand for ... Jesus"
Kindly see the leaflets below for more information regarding our upcoming Youth Festival.